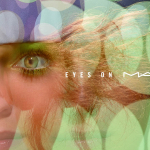 MAC All Ages, All Races, All Sexes Makeup Collection isn't the flashy wildchild makeup that Lady GaGa would wear, but it is a makeup collection of universal products that we can reach for every day. 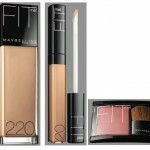 Shades that recognize people come in all colors, All Ages, All Races, All Sexes provides a makeup collection that addresses everyday beauty needs. 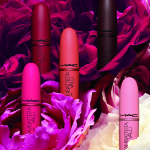 The MAC All Ages, All Races, All Sexes Makeup Collection is a full collection that includes the following categories: Lipstick, Lipglass, Eye Shadow, Pigment, Impeccable Brow Pencil, Eye Brow, Penultimate Brow Marker, Brow Set, Beauty Powder Blush and Blot Powder Pressed. 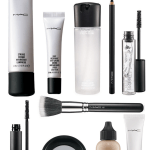 I was sent a selection of products from the MAC All Ages, All Races, All Sexes Makeup Collection to preview and have to say that I love this collection of neutrals. 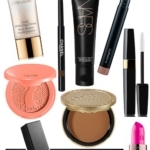 The standout products for me are the Brow Set and the lipsticks. 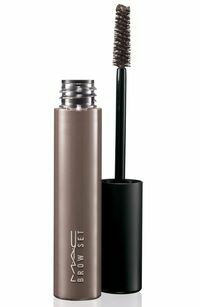 I received Brow Set, which is a tinted eyebrow gel, in Mink–a dirty brown shade. I do use an eyebrow gel daily, but it's clear, so I was a little hesitant to try the tinted shade. I shouldn't have been…it applies easily and makes my dark brown eyebrows look natural and glossy, not fake or "applied". The product feels good, too. I've used other eyebrow gels, where the hair actually feels "crunchy"–ewww. 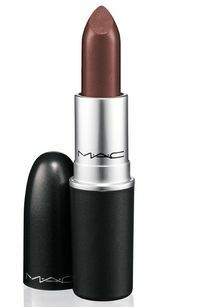 The other products I loved were the lipsticks in N5 (described as "plumy sheer brown lustre") and Myself (described as "creamy pale yellow beige"). They're both beautiful colours that have become my everyday shades. N5 is perfect for adding a sheer, natural bit of color without being showstopping. Myself is actually a barely-there shade that gives a beautiful hint of color to bare lips; gorgeous if you like a really, natural look or to wear over another lipstick shade. 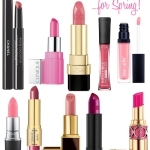 I would highly recommend adding these shades to your lipstick wardrobe–I think you'll love them. 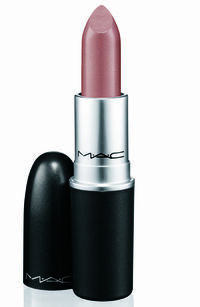 MAC All Ages, All Races, All Sexes Makeup Collection is available now at MAC counters and online at www.maccosmetics.com. 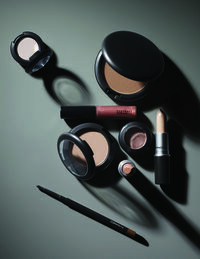 While I love all the MAC Collections, this collection of neutrals is one of my favorites.